Disclosure: I received this ARC on NetGalley in exchange for an impartial review. As always, my reviews are fair and unbiased. 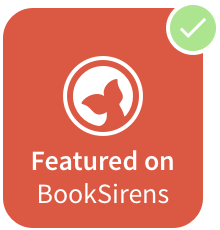 I only just recently bought Love Letters To The Dead, Ava's previous novel, but couldn't help requesting this gorgeous book on Netgalley. There was something so entrancing about the synopsis that screamed READ ME, BECCA! 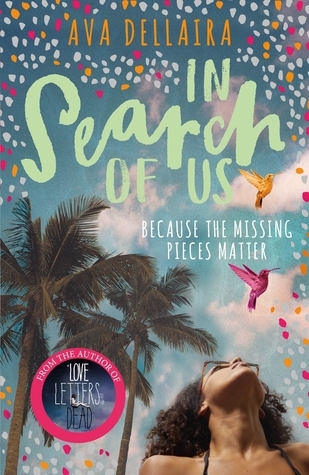 The striking thing about In Search Of Us is that I wasn't expecting for it to move me so much. I picked it up thinking it would be a lighter read than it was, and it totally threw me off my game (in an amazing way, somehow.) Angie, our main character in one of the alternate chapters, has never known who her Dad is. She was raised solely by her Mother, Marilyn (who is our other narrator, taking us into the past). See, Angie is mixed-race, something her Mother can't understand, as a white woman. She knows her dad was African-American, but here she is in the middle, not knowing where she fits in. Marilyn never planned to raise Angie alone, this we find out in the past scenes, and tells Angie that her real Dad has passed. But when Angie realizes that her Mother might have been lying, she sets out for a sense of belonging. Angie searches for her family ties in L.A., intertwining to where past-Marilyn meets James - Angie's father. I loved the mirrors between Angie and young Marilyn. They had so many things in common (that they didn't even realise) and that lay subtly between the lines. I think that the message in In Search of Us is hugely important, especially for mixed-race people who don't look like one/their Parents. Ava handles this with such care and transparency that was so effortless. But with the highs in a story come the lows, like the whirlwind love story of James and Marilyn, leading to disastrous ends between their families. These tie-up scenes toward the end really tugged at my heartstrings and I felt myself poring out emotion onto the pages. Overall, though it is a moving and heartfelt read, it's more than that: it's modern, important and oh-so-amazing. I love that the lines of the truth toward the end were blurred so that we might not know everything that happened in the past, especially considering every novel isn't meant to be tied-up neatly at the end. This was such a boomerang of a novel, coming out of nowhere and just stealing my heart. While the chapters bounced oddly, I still can't think of anyone I wouldn't recommend this to. I'll be getting a paperback very soon - it's that good. Four-and-a-half, brilliant stars! What did you think of In Search Of Us?